At Moore's Karate 9th Street our mission in life is to help families in our community grow happier, healthier, and to stay connected through martial arts. With a strong family atmosphere, we use FUN learning tactics to get the most out of our students. This goes for both the kids and adults that come to us for training! Strong Character, Tons of Hearts, Safe Families. Through martial arts we develop crucial life-skills using traditional methods mixed with modern day flare. Fast-paced and high-energy cardio drills, striking and defense lessons, epic kicks and mega focus drills meant to develop amazing mental strength set you up for stellar fitness gains and huge bursts in personal development. We are dedicated to promoting our students and encouraging a positive home life as well as a fantastic training experience! Total beginners welcome! We love to work with beginners and elite athletes alike. No matter what your starting level is, you'll get a great workout, gain lean muscle, and learn techniques to keep you and your family safe. 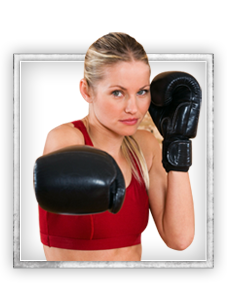 Controlled, fast-paced, and fun movements are led by expert instructors. They meet you where your starting level is. Many of our students have no prior experience...and they just can't get enough of our classes! Many of our adults members are parents of our younger students! Karate is for everyone - knowing how to defend yourself and being physically fit builds confidence and self-control too! Safe, affordable, clean. We take great pride in making sure your family has a safe and clean environment, always. "So..how does cleanliness equal safety?" Cleanliness is a key foundation of learning the powerful foundation of any martial arts style. As students learn with each other, clean uniforms are crucial to keep dirt and grime to a minimum, professional and working equipment keeps us all safe, and clean mats in a clean facility keep infection and sickness down. Also, keeping the school clean and functioning well sets the tone for kids to do the same at home! Kids develop a healthy respect for authority, learn that shared spaces are everyone's responsibility, all while gaining crucial life skills to set them up for future success in life. Students use our classes as a highly effective training tool for personal defense, a stellar boost to weight loss and fitness gains, or even as a stand-alone martial art. Whether you want to seriously dedicate your time to becoming an amazing martial artists or simply want to get fitter fast - the key is that our instructors work WITH YOU and not for their own personal goals. Our instructors are really top-notch. Check out our super-low web special going on right now. Our classes fill up fast because it's such a great deal, reserve your spot today! You'll find the web specials on our classes page along with details on joining in amazing martial arts adventures with your family while having the most fun you've EVER had getting fit. We can't wait to train with you! Below is a little bit about our leadership here so you can put some names to faces and feel comfortable for your first visit! See you soon! Mr. and Mrs. Kimball are the head instructors at Moore's Karate 9th Street. Shun Shifu Bryce Kimball is ranked as a 4th Degree Black Belt and has been teaching for over 15 years. Between the two of them they have over 30 years of experience of martial arts.They are simply dedicated to serving their community with the highest level of customer service and care. Come join our Modesto, CA Martial Arts facility! 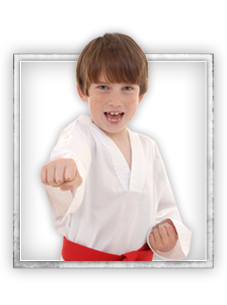 We offer programs in Kids Martial Arts and Fitness Kickboxing. Choose a program that most interests you and have the opportunity to sign-up right here on our site for one of our awesome web specials. Or feel free to give us a call at 209-552-5233 if you have any further questions. Moore's Karate 9th Street hopes to speak with you soon!